Built for the serious home strength Trainer who wants a durable, customizable rack worthy of a Pro weight room. 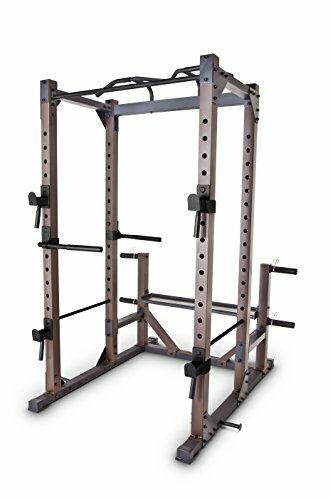 The Steelbody monster rack features Multi-Grip Pull-Up handles, a kipping station and a dip station to offer a full range of muscle-building exercises. A bench can be added easily to extend the exercise possibilities. Designed for safety and comfort, the monster rack includes easy access weight and safety catches along with padded Pull-Up grips. You'll also appreciate the posts and trays to conveniently store your weights and training equipment. If you have any questions about this product by Steelbody, contact us by completing and submitting the form below. If you are looking for a specif part number, please include it with your message. Titan X-3 Adjustable Squat Stand 3"x3"